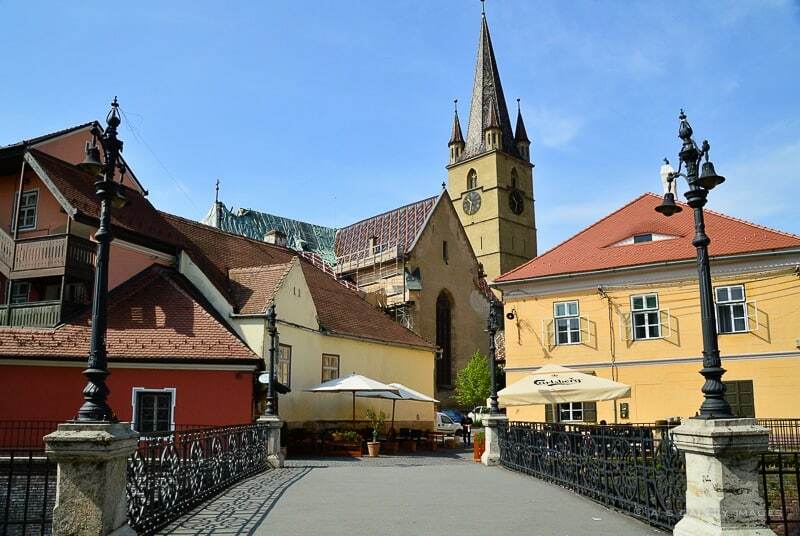 No visit to Transylvania would be complete without seeing the beautiful city of Sibiu. Located in the Southern part of Transylvania, Romania, Sibiu has one of the most authentic and perfectly preserved historic centers. 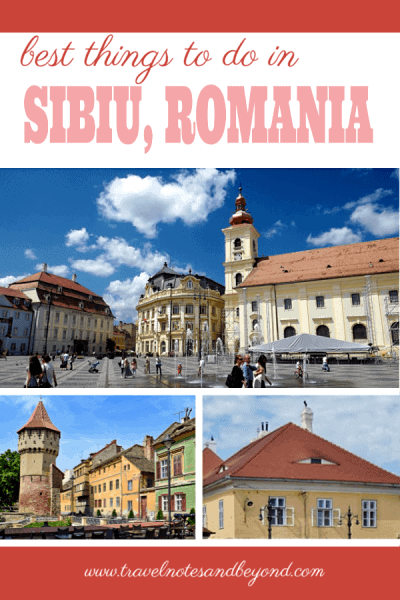 There are quite a few historical attractions and things to do in Sibiu. Therefore, you should plan on spending at least a week-end here in order to properly explore them. 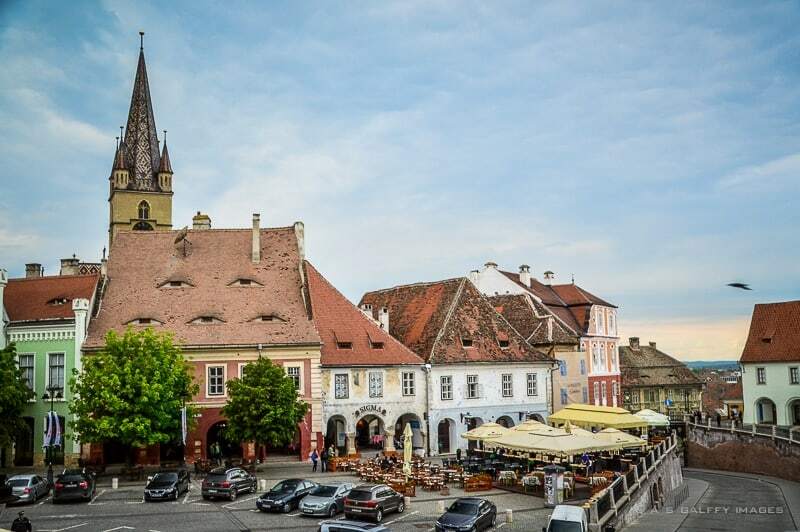 Also known as Hermannstadt (in German), Sibiu was one of the seven fortified citadels built by the Transylvanian Saxons back in the Middle Ages. 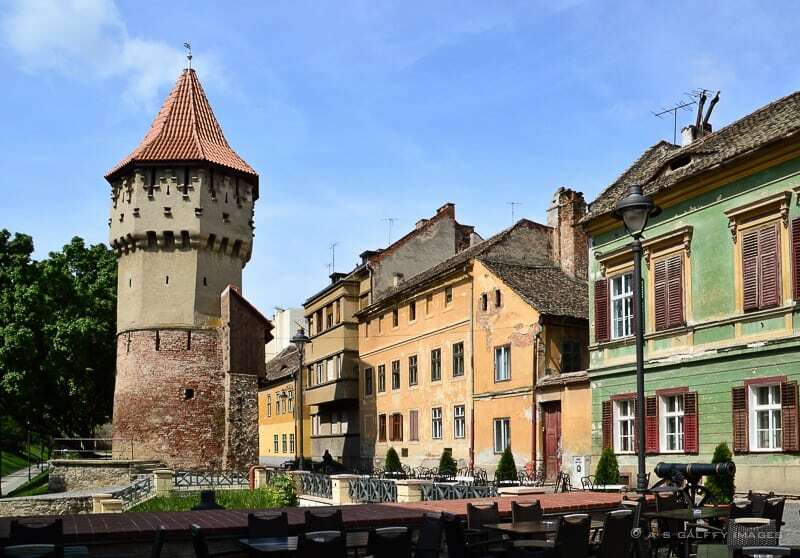 At that time Sibiu was a very powerful city, surrounded by the fortified walls and 39 defense towers, some of which still exist today. The city’s population was predominantly German even after Transylvania became part of Romania. 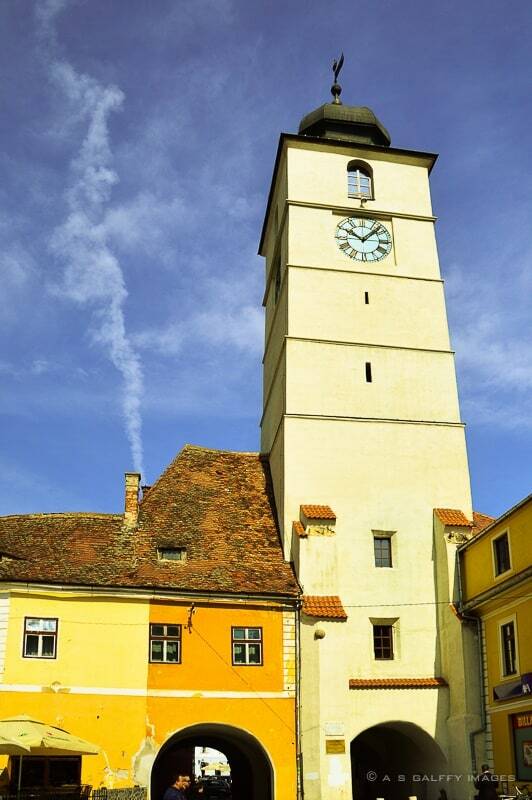 In fact, Sibiu was for a long time the center of Romania’s German minority. However, the German population started decreasing after World War II and the process continued during the Communist Era. After the collapse of Ceausescu’s Regime in 1989, over half a million Germans fled to Germany. Today less than 2% of Sibiu’s population are Germans, about 3% Hungarians and the remaining 95% are ethnic Romanians. After visiting the Medieval Citadel of Sighisoara I thought nothing can top it off. But I was wrong. Sibiu is even more beautiful. 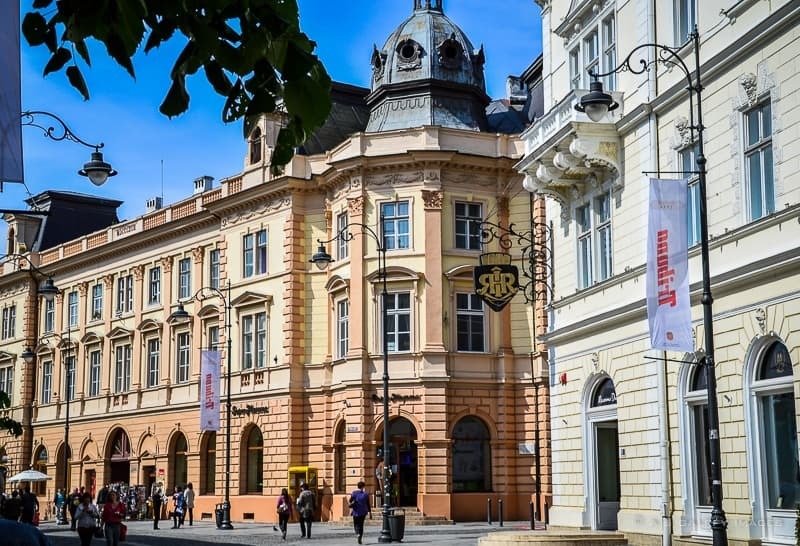 The historic center was recently renovated and it looks absolutely spectacular, with an ensemble of squares surrounded by Gothic and Baroque buildings. The squares of the Old Town are impossible to miss, as most of the Sibiu’s great churches and historic monuments are in this area. The squares abound with boutiques, souvenir shops, restaurants and cafés, which make them popular with locals and tourists as well. The Large Square (Piata Mare) is paved with granite tiles and surrounded by some important medieval edifices, like the Brukenthal Palace, the Catholic Church, the Generals’ House and Haller House. During the Middle Ages the Square was used for important events, such as public gatherings and executions. The Small Square (Piata Mica) is divided into two parts separated by Ocnei Street. The second part descends under the Bridge of Lies towards the Lower Town. The buildings in the Small Square were mainly craftsmen shops where the merchandise was displayed. Huet Square is the smallest of the squares that make up the historic center. Here you can see the Evangelic Church, the Bruckenthal High School and the Parish House. 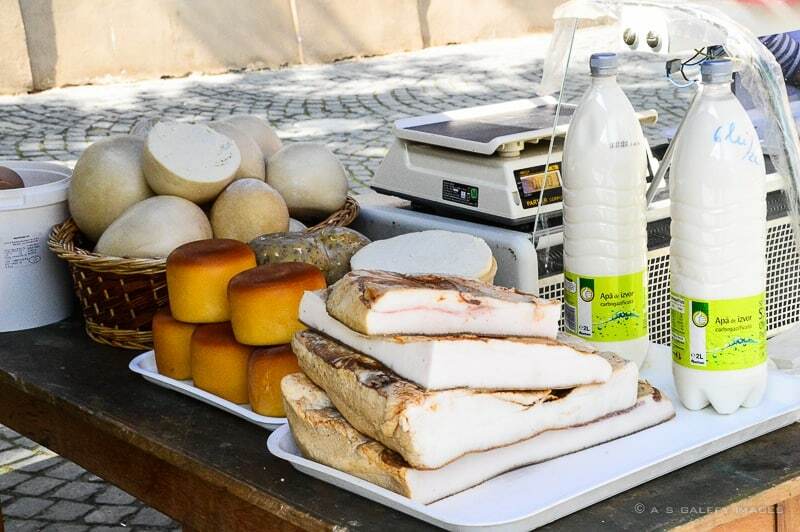 Some days there is an open market here where you can buy fresh produce, lard and some tasty local cheeses. 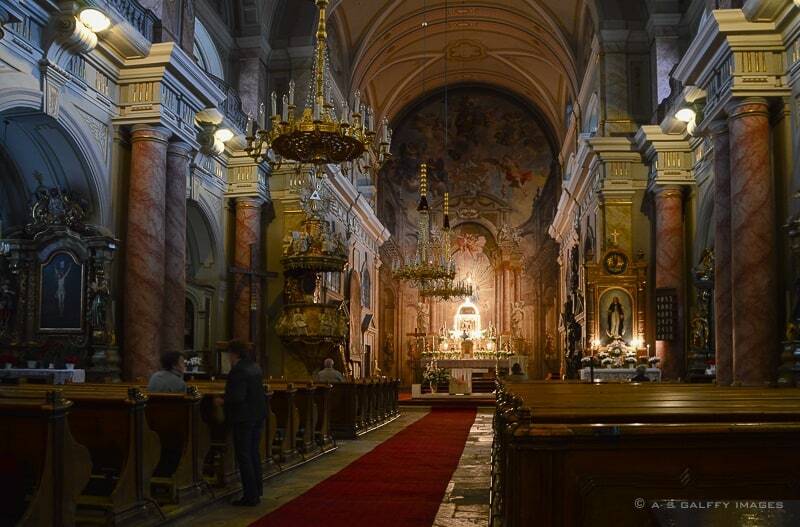 There are three major churches of different confessions in the Old Town Sibiu that you shouldn’t miss. All of them are quite beautiful and very representative for the multicultural heritage of the Transylvania. The Evangelical Church located in Huet Square dates from the 14th century. Its 73 meters high tower is the tallest in Transylvania. One particularly interesting thing about this church are its four corner towers. In the old times, they were an indication of the city’s right to apply the death penalty. The Catholic Church in the Large Square was built in 1733. Don’t let the simple and unassuming exterior of this church deceive you. Take time to see the beautiful interior of this historic landmark. 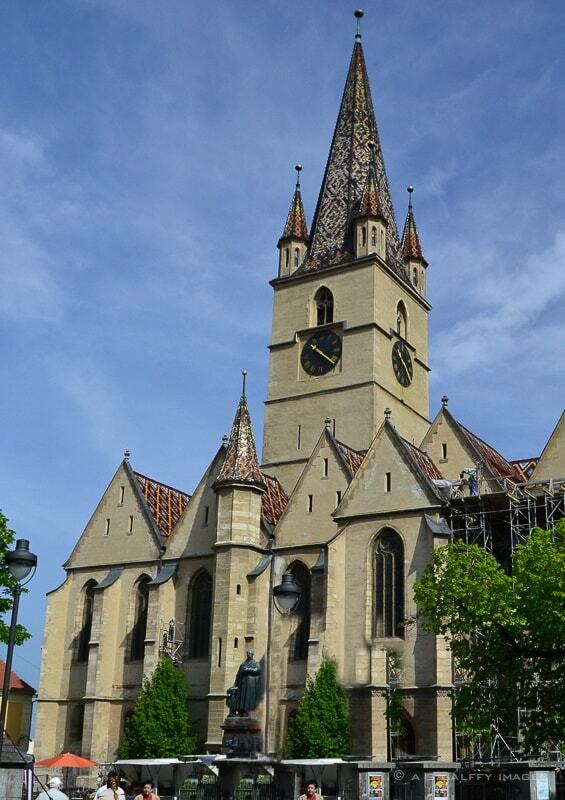 The Orthodox Cathedral in Sibiu is one of the city’s main religious edifices. 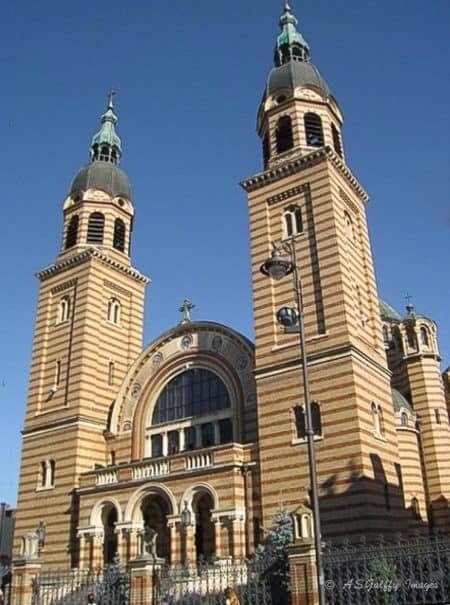 The church is newer (1902-1904) and its architecture was inspired by the Cathedral Saint Sofia in Istanbul. A very picturesque corner of the Square is the Goldsmiths’ Stairway, which connects the lower with the upper town. The wealthier Saxons lived in the upper town, in big houses with their large courtyards, while the peasants lived in the lower part of town in small, colorful houses. Built in the 14th century, the Council Tower had the function to defend one of the entrance gates of the city. Over the centuries, the tower suffered different modifications. Only the ground floor and the first two levels are part of the original construction. You can visit the Council Tower for a small fee. On the first platform of the tower there is a beautiful exhibition of photography featuring old Romanian costumes and traditions. If you climb all the way up its 141 steps, you’ll be rewarded with great panoramic views.From the top you can see all the landmarks of the historic area, so I would recommend starting your tour here because you can use the view as a tour guide. 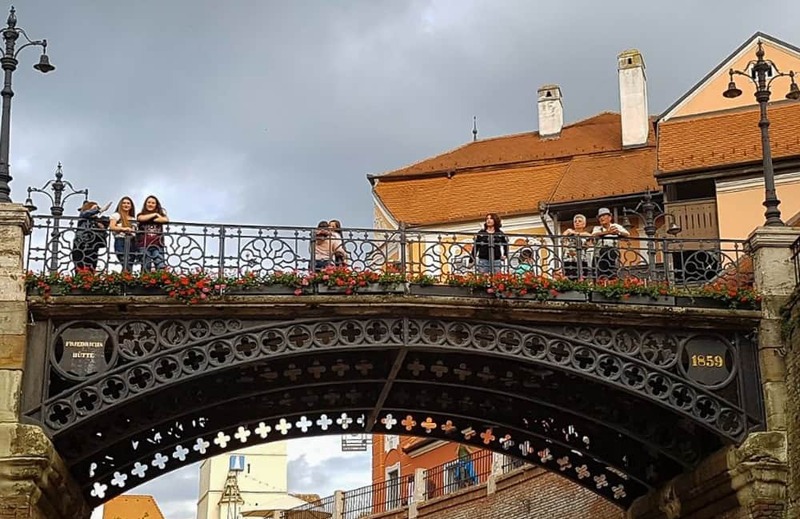 One of the most beloved attractions in Sibiu is the Bridge of Lies, which is surrounded by many fascinating legends. The original bridge was made of wood and replaced 200 years later, in 1859, with a cast iron one. According to one legend, the wooden bridge could tell if a person crossing it was telling the truth or not. If the bridge ‘heard’ a small lie, it began shaking, but if it heard a big one it could even collapse. For this reason, most people would avoid lying while crossing it. Today’s iron bridge is the oldest of its kind in Romania, and the second oldest in Europe. Are some of the buildings in the Old Town actually watching you, or you are just paranoid? If you lift up your eyes you’ll notice some very funny looking attic windows on the rooftops. They look a lot like sleepy eyes, watching you secretly. Throughout history and in times of political strife, locals truly believed they were being watched by the authorities through the “eyes” of these buildings. Romanians are famous for their hospitality and friendliness. They will go a long way to please you and make you feel at home. 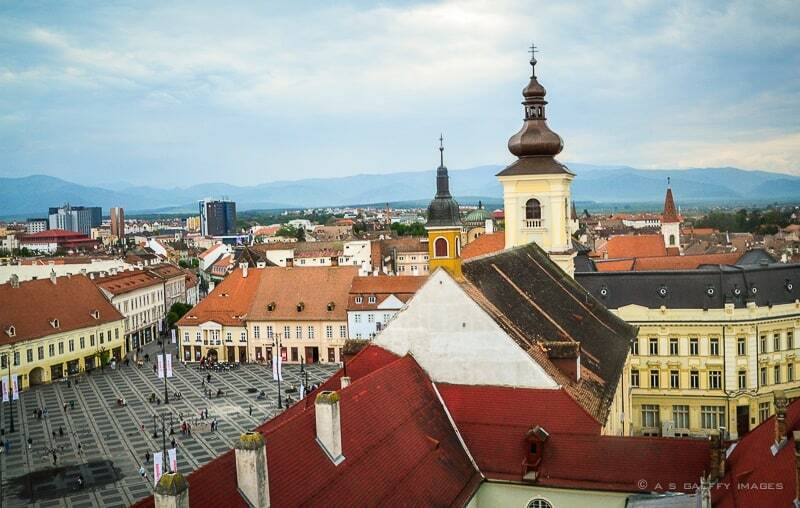 Like many other cities in Transylvania, Sibiu is not short of great accommodations, ranging from hotels, hostels, to inns and bed and breakfasts. Rooms are clean and nicely furnished and prices are very reasonable, ranging from $30 to $95/night. We stayed in a Bed and Breakfast right in the middle of the Historic Center. The rooms were simple but impeccably clean and comfortable, with modern bathrooms and plenty of towels and toiletries. Breakfast was also very tasty, with very diverse food. The room costed only 100 RON/night (about $32) and staff was also extremely friendly. They offered to stay up late and wait for us to return from dinner, in case we had trouble opening the gate to park our car. 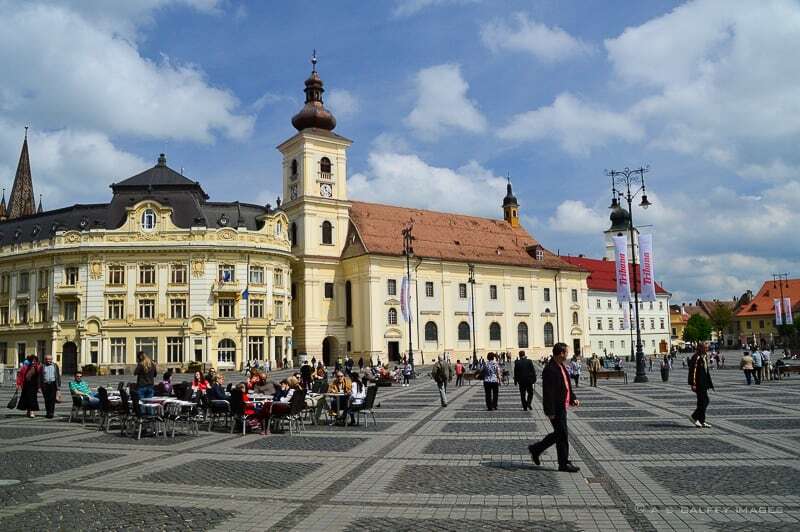 There is a big range of restaurants, pubs and cafés in the historic center of Sibiu where you can enjoy good food from the local and international cuisine. 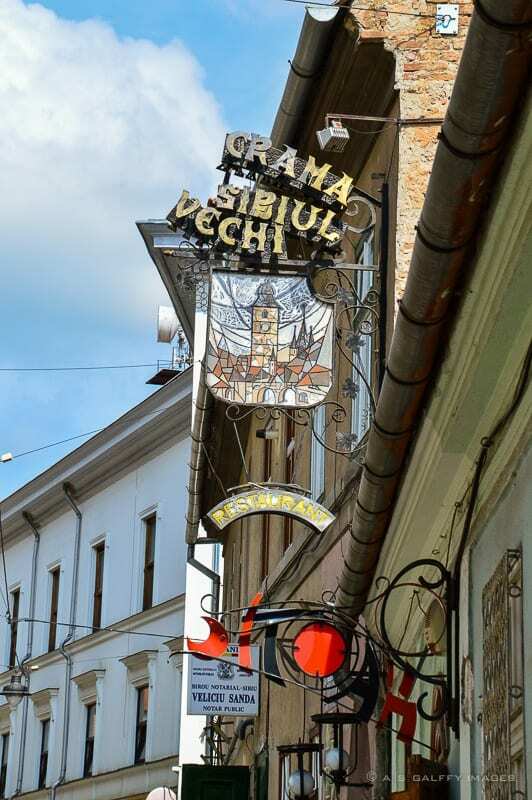 One of the most famous restaurants in the Old Town is Crama Sibiul Vechi, that serves excellent traditional food at very good prices. The restaurant is located in a cellar and features live music. The restaurant is relatively small and always crowded, so you need reservations. There are plenty of other excellent restaurants in the Old Town where you can enjoy good food and good service. You almost can’t go wrong anywhere in Sibiu. Hi Anda, this is really informative. Can you suggest a particular site to see for just a half day tour? Thanks. I love Sibiu! We used to visit relatively often when I was a kid; an artist family friend worked at the Bruckenthal, so we always ended up with a tour of the museum among other things. Last time I visited a few years ago when I took my daughter for an International Ballet Competition held in Sibiu; I noticed a lot of the old buildings renovated ... such a beautiful city that we took for granted while living close-by. I haven't seen Sibiu during the communist years, but I imagined it must have been a different picture. What a beautiful town! And that church is really something, isn't it? I'd love to visit Romania one day. Boy, that Bridge of Lies seems to take lies very seriously! Not that I lie, but I certainly would simply avoid walking over it at all costs haha or simply not say a word whatsoever haha! Sibiu is so beautiful and high on my next time in Romania list! I believe Sibiu is right up your alley, Lolo. You definitely should go visit it. Sibiu looks beautiful. I love the Bridge of Lies. Interesting to hear the story behind the name. Starting your visit by climbing the tower for a view sounds like a great idea. 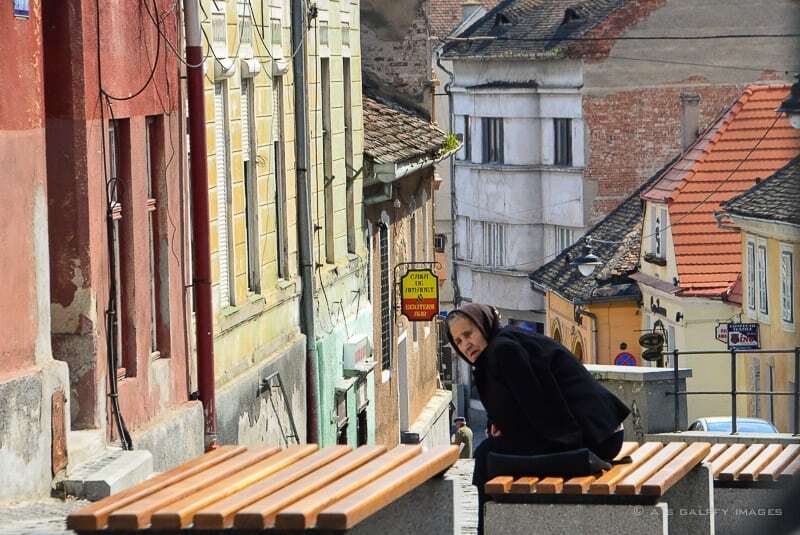 You've really conveyed Sibiu's charm in your lovely photos. I especially like the Goldsmith's stairs and the "eyes" in some of the rooftops. Sounds like the hospitality was top-notch as well. Anda, you've got me wanting to go there right away! I'm sure you'd love it in Romania, Cynthia. Well, who knows, maybe someday you'll make it there. Hi Anda, David and I have been considering Romania lately. We are looking for less crowded destinations and hopefully Romania will be one of them. Oh, it absolutely will. But like everywhere else in Europe, I would advise you to go there in fall or spring, rather than in summer when it's very hot. It looks like such a fairytale town. I love all the architecture and history of Sibiu. I don't know much about Romanian cities (all I've known are from you) but this really looks like a worthwhile city to explore. 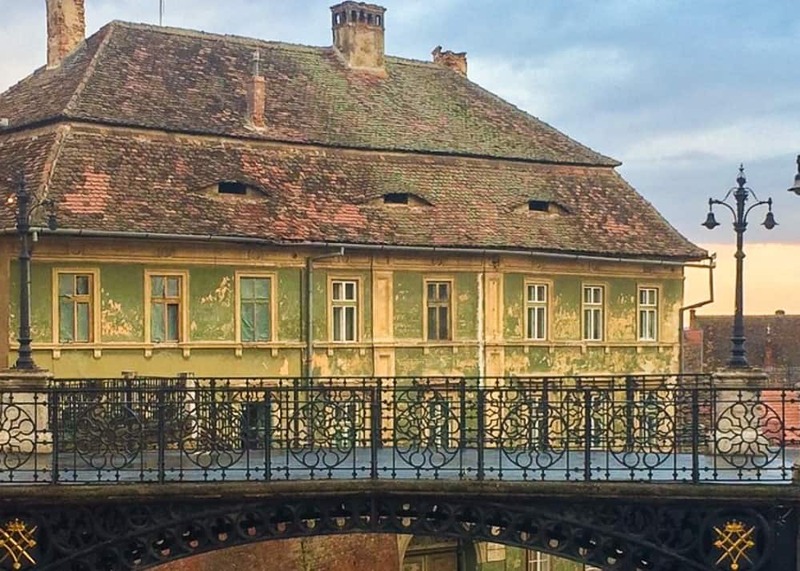 That building with eyes is creepy and the Bridge of Lies looks so photogenic. I'm sure you'd enjoy visiting Romania, Mary. It's a very friendly country, but unfortunately the roads are not very good. If you ever choose to go there, don't consider driving. Looks like a great place to explore and happy to see more of Romania. The Catholic Church interior is very beautiful! I am booking! Must find out if all I read is true! Anda, the more you write about Romania, the more I want to go there! What a lovely city with lots of history, lively atmosphere, squares to walk around, restaurants to eat. I can easily see myself sitting in one of the square enjoying a meal, and watching the people walk by. Thanks for linking up to #WeekeedWanderlust. Very interesting! I love the sights of this old city. I really don't know much about Romania, so I find it very intriguing! Thanks so much for linking up with #WeekendWanderlust! Thanks for your comment, guys. Romania has a lot of interesting and very picturesque sites. Romania is on my list. Thanks for the useful info and for the virtual tour through your beautiful, inviting photos. Wow, Romania looks so beautiful. It is on my list of Places to Visit. This place looks fabulous. 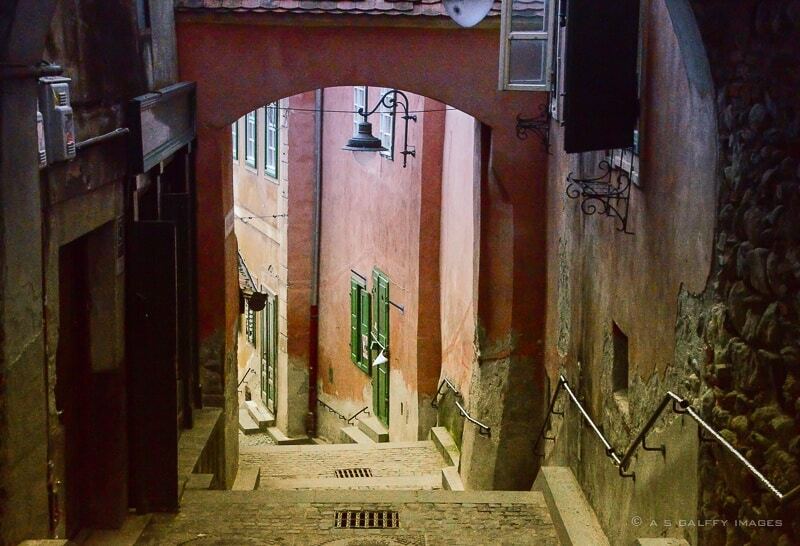 Sibiu is very beautiful indeed, Ryan. It looks so beautiful, and so full of interesting history. We didn't visit Romania when we went around the world, but for the past year or so my younger teen has been asking to go, it is the top of her bucket list. I think you'll like it, Rhonda. It looks like our next destination is South America. I think my teen may make it to Romania if she does a year abroad in Spain. I strongly encourage her to go if she has a chance. Romania is beautiful and quite inexpensive. Another must see hidden gem! I like the brief, but very informative presentation.